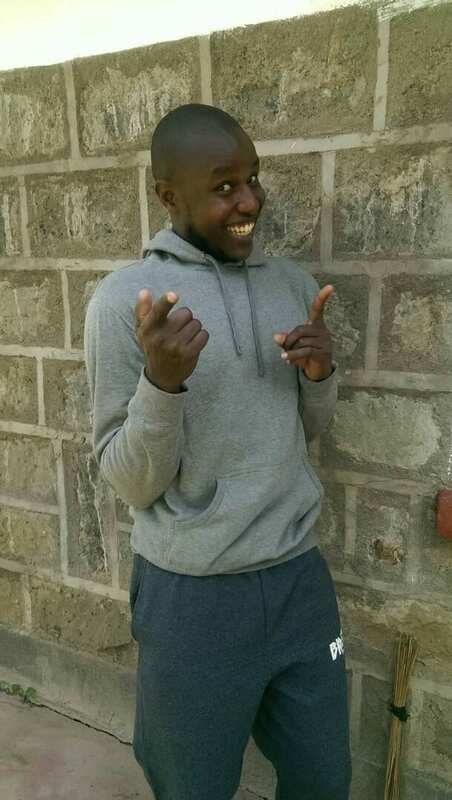 Vincent Murithi, Matanya’s Hope University student, expresses his joy for the gift of clothing and education. Landing in Kenya was bitter sweet. I missed my family and I knew all too well that leaving the USA meant leaving the comforts of my high speed internet. It meant headaches – such as an hour and a half to open ONE email successfully. But, that is the technical side of mission and technicalities are far from the heart of what this mission is all about. We are about giving the gift of hope to some of the most precious people who might otherwise never have had the chance to go to school beyond 8th grade. 3 days into the mission, our vehicle transcended from Nairobi’s tarmac to the dusty dirt and rock roads of Nanyuki. Henry and Vincent had been busy offloading the donations throughout the night and our rented home was ready for occupation. None of this could have happened without the tireless dedication of one young man who balanced his pending exams with the leadership of Matanya’s Hope in Kenya. Thank you Patrick for emulating the heart of giving service beyond self. As the mission begins, I have the honor to spend our beginning days with a current University Economics student, Vincent Murithi. Sometimes, when I only have my own vantage point to reflect upon, I can’t see the fullness of the impact that Matanya’s Hope has on those we reach out to. This morning, Vincent shared: “It has been an incredible journey as I sit here and reflect way back, 10 years ago. I am overwhelmed regarding what Matanya’s Hope has done unto my life. It has been a long way coming and I am grateful for this opportunity. I am scheduled to graduate next year and I want to appeal to other Matanya’s Hope students to take this opportunity that you are given and to utilize it well, knowing that one day someone else will look upon them. It is about giving back to society. You can only do that when we have a clear plan or vision of what you want to do – of where you want to see yourself in coming years. It keeps you on track. At this age, we should stop dreaming and start working on those dreams. It is a way to becoming responsible and dependable. I have a plan, in 3 or 4 years to come, to sponsor kids throughout their school life, throughout their education, just as Matanya’s Hope has done for me. It is quite fulfilling experience when you can give back to others in need. I can never forget where I came from. To everyone who is a sponsor, I want to thank you for what you are doing. I promise you, your gift of hope will not go in vain. To each sponsor and mission participant who I met, thank you for being a part of my life. Jonah, Quincy, Ariel, Ann…. the list is endless. You have all impacted my life and helped me to believe in my dreams. To my sponsor, Brogan, thank you so much for being my brother and my dear friend. You have walked by my side since I was 12 years old. No words can possibly express all I feel. This entry was posted in MISSION 2017, Success Stories, The Children, To Our Sponsors, Uncategorized on June 5, 2017 by Michelle Stark.